Infected teeth are one of the most painful experiences that people who suffer from them will experience. The teeth are living substances within the mouth, and the inner layers of the teeth are made up of a pulp that contains the nerves and tissues. Trauma and injury to a tooth or decay or infection can cause the tooth to be vulnerable to dying and undergoing severe pain. Root canals are dental procedures done to save a tooth and to alleviate pain. Many people mistakenly believe that root canals are painful procedures, yet what you need to understand is that infected teeth are painful – and root canals are done to relieve your pain. An infected tooth is extremely painful because the infection is affecting the living portion of the tooth. If left untreated, the pain will become excruciatingly unbearable and the tooth will become so damaged that it cannot be saved. Root canals are procedures done under local anesthesia in order to prevent the patient from feeling any discomfort during the procedure. 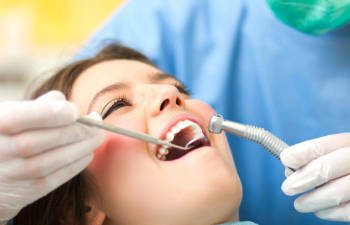 At Allen Dentistry, we are proud to offer nitrous oxide to patients who need a little extra help relaxing during the procedure. Once the tooth is numb, the tooth will be opened and the damaged or infected pulp will be removed. Once the infection is cleaned out, the tooth will be treated with antibiotics, filled, and then sealed in order to prevent further damage or infection from occurring to the tooth. At Allen Dentistry, Dr. Justin Nylander and his entire dental team are dedicated to providing comfortable and compassionate dental care. We understand that many people are apprehensive to receiving dental care, especially when it comes to needing a more in-depth treatment. If you have any type of dental pain, please contact our practice right away so that you can receive appropriate treatment in a timely manner. A tooth that needs a root canal must be treated as quickly as possible in order to alleviate your pain and promote your oral health.